Coachella, Holi, Comic Con – just some examples of large-scale festivals, concerts, and events that have seen thousands of visitors. 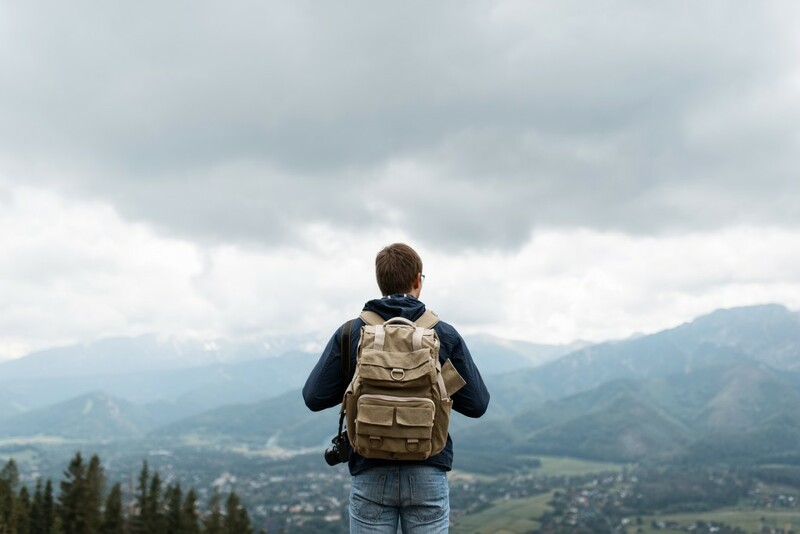 For people who attend these huge gatherings, it’s a day of fun and excitement that leave them wanting to come back next year to see if the experience can be even better than before. For event planners, however, that one day for most people took months up to a year of planning, logistics, negotiations, and probably some last-minute crises. A lot of people mistake my work as something similar to what a stay-at-home parent arranging a tenth birthday party for their kid would do, but on a bigger scale. What they fail to realize is that the bigger an event gets, the more room there is for error. And when you’re selling people an experience, you can’t go into a project thinking about how much leeway you can get for simple mistakes that your event attendees wouldn’t notice. And thanks to the Fyre Festival fiasco of 2017, a lot more people are starting to get an idea of what really goes behind an event. With hundreds of news outlets reporting the same facts and all the accounts of what went wrong, people have begun to get a grip on how much time, money, and effort goes into planning an event. Event planning is such a science that you’ll even find several documentaries about failed events. And, as someone who has experienced his fair share of flops and major no-no’s in the industry, if you really want to understand what poor planning and execution look like, these events and their following documentaries are a cautionary tale for everyone in the business. By now, plenty of people have already heard about the failed luxury music festival that is Fyre Festival. If you aren’t up-to-date on the information, here’s a brief recap. Fyre Festival was supposed to be a luxury weekend music getaway in a private Bahamas island. The festival, hosted by the company Fyre and led by co-founder Billy McFarland, was meant to promote their eponymous app that could help people book musicians, celebrities, and influencers for their own private parties. The company paid socialites, supermodels, and hundreds of famous people on the internet to advertise the festival. Tickets cost thousands of dollars, but those who could afford it bought it (and then later paid another few thousand dollars to load up for the party’s supposedly cashless and wireless system) because of what they were promised: famous models walking around the area, a music festival with popular names, a breathtaking venue in one of Pablo Escobar’s island, luxury accommodations, private jets, and food made by a luxury restaurant brand. Weeks prior to Fyre’s first weekend, people were wondering why Fyre was not responding to the attendees’ legitimate questions about the party. When the first batch of festival attendees arrived, the attendees discovered that the thousands they had got them much less than they were promised: chartered flights in economic planes, soaked mattresses inside FEMA tents, no models or other forms of entertainment, and food that was definitely not gourmet. Turns out, the planning committee had experienced so many problems during the planning stage, but McFarland had pressured them to continue according to schedule. 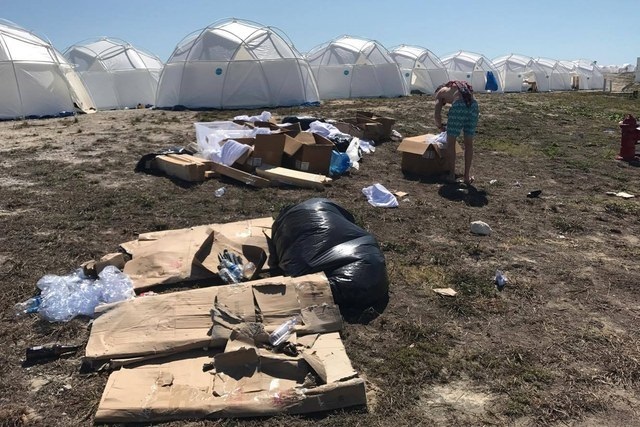 As a result, hundreds of attendees were stranded, the other attendees were robbed of their money, and vendors, Bahamian laborers, and Fyre staff were left unpaid due to the debts incurred. Had it been a low-budget event created by fans like the disastrous DashCon (a rushed out conference for Tumblr users), the Fyre disaster could have been forgiven. However, since it was branded as a luxury experience and cost around the appropriate range, there were class-action lawsuits filed against the people involved. 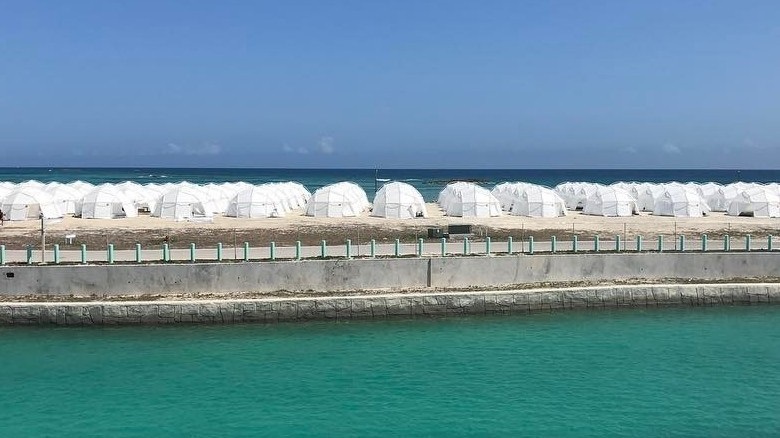 Almost two years after Fyre Festival, Hulu and Netflix launched their own documentaries surrounding the tragedy. Based on the events that led to it, it was clear that there was poor planning and insufficient experience for the people involved. Here are some of the mistakes they made. Bad cheese sandwiches and FEMA tents aside, Fyre Festival was actually a good concept and was actually doable had they planned at least a year in advance. In this industry, time is money, and creating a festival with a year is much more affordable to produce than with a few months as the company required more people working around the clock. The problem with the Fyre team’s time management was that they spent the first few months partying while they worked and putting off everything that needed to be done. 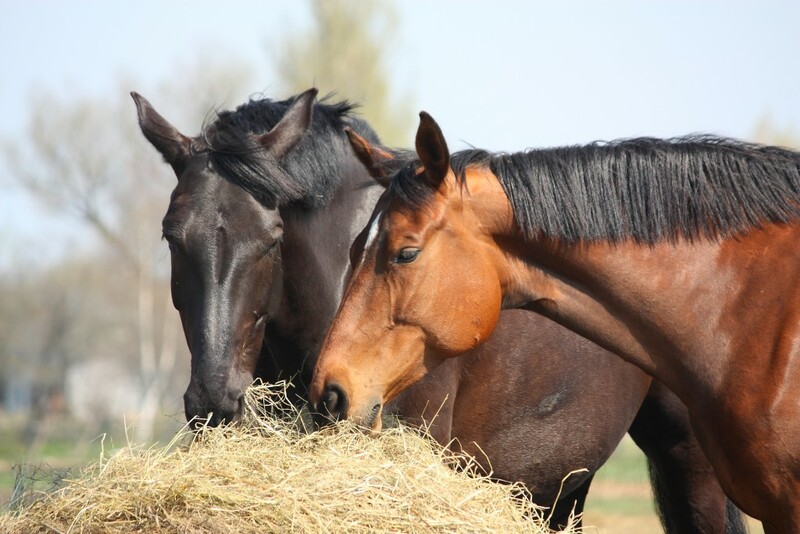 By the time they were months away from Fyre, they recognized that the event needed more time to be truly ready and up to the standards they promised their attendees, but with so many vendors and investors already invested on that day, it became too late to turn back. As much as I love Andy King and his “take-one-for-the-team-attitude” (if you watched Netflix’s documentary, you’d know which incident I’m referring to), he was probably the reason why so many people got suckered into working for McFarland in the first place. Each event is different, and you can’t expect the success of a previous project to pass on to the next one simply because of the person running the show. Fyre’s marketing was so good that my friends who were marketing professors and marketing majors claimed that Fyre’s marketing strategy was part of their discussion way before the documentaries came out. And even the documentaries were discussed in class when it came out. While that’s not to say it was a bad idea to make the marketing strategy what it was, there was too much focus on the Fyre Starters (influencers, models, and celebrities paid to advertise the event) and the promises they were making that there was not enough attention on the parts of planning that made those promises come to life. In short: don’t let your event be all bark but no bite. Perhaps the most emotional part of Netflix’s documentary was Maryann Rolle, the Bahamian restaurant owner who lost over $50,000 in her and her husband’s life savings after feeding the Fyre staff and attendees. She was originally assigned to do food for the staff and Bahamian laborers working on the festival’s infrastructure while attendees were promised gourmet cuisine catered by a popular restauranteur. However, because the caterer wasn’t paid, they backed out of the deal months before the festival; unable to find a new caterer to feed enough people at such a short notice, the event planners promised to pay Rolle to cater the event itself. The same also applied to talent and other vendors that pulled out. Bands pulled out because the stage was sub-standard and they weren’t receiving down payment for their performance. Entertainment vendors, food vendors, and other vendors were leaving. 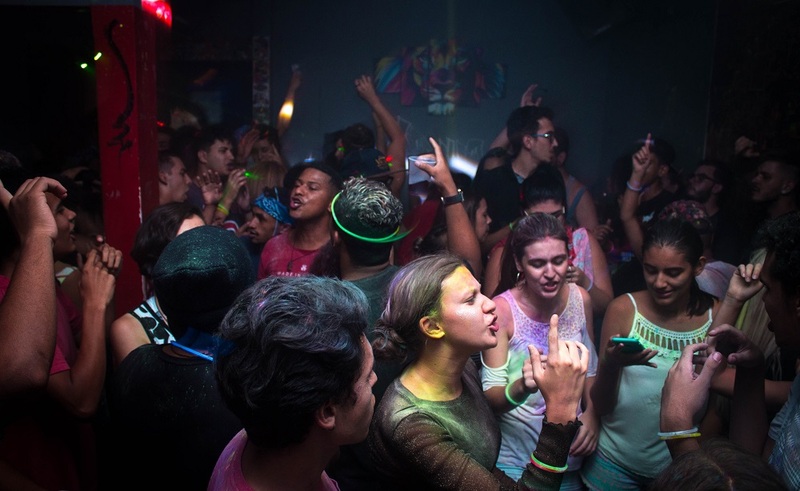 A luxury festival that promises significant exposure but they still choose to pull out because, like freelancers and people in the art industry, they can’t keep their business afloat with the promise of exposure alone; they also need their money. In Hulu’s documentary, McFarland claimed that they had enough luxury villas for those who had paid for it. He even claimed that they had the cars, additional housing, and other things that were promised. Some influencers even attested to the fact that they were given their respective villas before all hell broke loose. The problem? McFarland lost the box containing all the keys. A rookie mistake, one that had caused a Lord of the Flies experience for those who had to stay on the island. I know not all people in the industry may agree with me, but I find that logistics is one of the most important aspect you have to plan. And Fyre was a good example of it. If you’ve seen what VidCon or Comic Con looks like, you’d know that planning events of that caliber are not for the inexperienced or for the feint of heart. Tanacon, unfortunately, was a rushed event made by people who were in way over their heads, resulting in a disastrous event across the street from a much more successful one. It all started when YouTuber Tana Mongeau released a video explaining to her fans why she wouldn’t be attending VidCon, YouTube’s annual convention featuring prominent YouTubers. Under the platform’s niche of vegan YouTubers, Mongeau is one of the more popular YouTubers, boasting at least 3.5 million subscribers at the time of the incident. In her video, she claimed that VidCon denied her the chance to be a Featured Creator. While YouTubers who weren’t Featured Creators were welcome to attend the event, they weren’t provided with the same security measures such as passing through certain areas discreetly (as opposed to walking through a room full of attendees). She claimed that it was this lack of security for her which had caused her fans to start a mob in her area, which was why she was asked to leave the previous VidCon. Instead, she decided she would be hosting her own version of VidCon – dubbed Tanacon – on the same weekend as VidCon and in the same street as VidCon. She had around 30 days to plan the event. 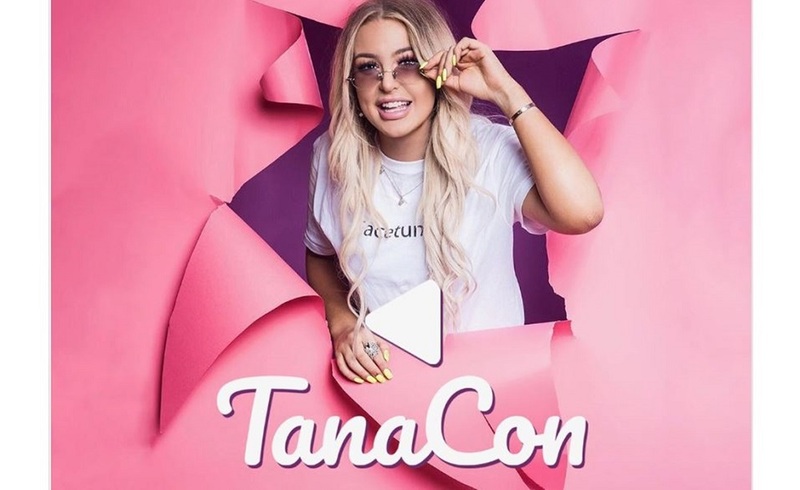 Prior to the event, she gave her fans the option to buy $65 VIP tickets (which entitled them to enter Tanacon without queueing, as well as a giftbag worth thrice the ticket) or a $1 general admission ticket. She later encouraged more people to come without buying a ticket, saying admission was free. And while VidCon was as successful as its previous runs, Tanacon did not even last the whole day on its first run as local authorities came and shut the event down due to safety hazards. Both VIP and general admission attendees were forced to wait hours on long lines under the hot Californian heat. The giftbags turned out to be a few novelty items worth less than the ticket price. And the place was overcrowded with over 5,000 attendees, contrary to Mongeau’s claims that there were 20,000 attendees. As a result of thousands of fans complaining about the result of Tanacon, YouTuber Shane Dawson decided to address the rumors of the event with a three-part series dedicated to it. There were rumors that claimed Mongeau knew it was set to fail, having sold more tickets than the venue’s actual capacity. There were some claims that the management company that handled the event, Good Times Live, had conned Mongeau and her fans. If there’s one thing you can learn from both Fyre and Tanacon, it’s that you can’t expect to get a good event with very little time to plan it. Mongeau told Forbes that she had around a month to plan it, though later on when apologizing to her fans claimed she had two months to plan. Either way, this isn’t enough time for someone with little experience to have when planning a large event that’s supposed to compete with the likes of VidCon. Mongeau was not alone in planning this event. Unfortunately, Good Times manager Michael Weist was just as inexperienced at large-scale events as Mongeau was. As a result, the event ended in a disaster because they didn’t have the same network of planners, logistics, security, and other necessities. Businesses may come up with free events in an attempt to get more people to show up. However, if you’re hosting a large free event, make sure you have the security and logistics to back it up. While it sounds elitist, there’s a reason why Coachella and Comic Con come with entrance fees. Events with entrance fees are meant to entertain people who can afford the tickets. Mongeau, on the other hand, tried to give free tickets as a way to promote inclusivity. But the promise of opening an event to everyone risks that everyone shows up. If your venue has a 500 capacity, that’s the number of tickets you can sell. From there, you decide how much the tickets cost if you want to breakeven or profit from the event. Mongeau and her team failed to understand this, thus the overcapacity of the event. Props to Mongeau for coming out to her fans and promising to find a bigger place for them to host the event that can accommodate everyone, but finding a venue at the last minute that can accommodate over 5,000 people is a shot in the dark, which is no surprise that it never pulled through. If you’re interested in a career in event planning, I encourage you to watch these three documentaries: Hulu’s Fyre Fraud, Netflix’s Fyre Festival: The Greatest Party That Never Happened, and Shane Dawson’s Tanacon series available on YouTube. These will give you an idea into what goes into an event and how much planning and experience you’ll need to avoid flops such as these.